NATIONALISM is a concept which arouses differing reactions among the liberal intelligentsia, depending on the people to which the term is applied. As members of a non-universalist religion it is important for Odinists to sidestep the fashionable woolly thinking on the subject of nation, to clarify exactly where we stand on the issue, and above all to realise that the concepts of nation and state are not inseparable. It would appear to be ‘acceptable’ in today’s world to be a ‘nationalist’ in South Africa, but unacceptable to be an English nationalist. The underlying principle would seem to be that the ‘oppressed’ race (for instance the South African bushmen, the Welsh, the Palestinians, the Estonians) may justly invoke its sense of national identity to support its struggle for independence. However, where nationalism becomes a state’s cover for the military, political and cultural suppression of a less powerful people, or is perceived as such, it becomes repellent. Clearly, every case is different, and this blueprint for the treatment of individual disputes by the liberal media is more appropriate in some cases than others. But the fact that the blueprint is considered as valid at all is proof that the idea of nationalism has become confused. In reality, it has been hijacked by the state, in the form of both the conservative establishment and the Marxist revolutionaries. The legitimate right of ALL peoples to pursue their cultural traditions in a racial or national context has been submerged in consequence. Modern nationalism really came into being at around the time of the French Revolution, at which stage it was essentially a liberal movement opposing the conservatism of the ruling imperial-monarchical elite, which espoused supranational dynasticism. It flourished in Germany, finding the political climate very suitable, since Germany had a fragmented state structure and could even be seen as a nation without a state. Although the Prussian elite was authoritarian in matters of politics and state, it was remarkably liberal in terms of culture and religion. Frederick the Great, who tolerated all religious beliefs out of lack of interest of the subject, once said, ‘ If the Turks and heathens came to Berlin, we would build mosques and temples for them.’ He did not know how right he was. By 1800, nationalism, liberalism and religion were bound together in the minds of the prominent thinkers o f the day, and fashionable opinion was closer to a re-espousal of paganism than ever before or since. Although still nominally Christian, the pantheistic spin-to of the works of Novalis, Eicrendorff and Goethe deals with the relationship between Man, Nature and God in a way that could well be called neo-pagan. The strength of the national liberal movement in Germany was such that it came close to toppling the ruling Elite and replacing it with a constitutional monarchy. It failed, owing largely to the great inertia within the elite, which meant that none of its number was prepared to accept a crown ‘from the gutter’. The revolutionaries were not so radical as to wish to overthrow the monarchy, nor did they have the power to do so, and so the movement lost momentum. Soon afterwards, the idea of nationalism was taken up by Otto von Bismarck, the Prussian Chancellor. Seeing the possibilities created by using the symbolism of the national idea to enhance the mystique of the Prussian crown, he set about casting Prussia as the guardian of German nationhood, first against Austria (1864-66), then France (1870-71). In 1871, after the Franco-Prussian war, the princes of Germany (no longer the people) offered the imperial crown to William of Prussia. He accepted, and the figurehead of German nationalism ceased to be the German people and became instead the Prussian king. Liberal Nationalists like Richard Wagner were initially delighted, but over the next ten years or so, as the liberalism was dissolved away, they became disillusioned. The history of nationalism in Britain has been gentler and less eventful than in Germany, but it is the German example that has cast a shadow over twentieth century history. National Socialism had its roots partly in the radical nationalism of the rural bourgeoisie of Bavaria and Austria, but also in the policy of Bismarck. Be that as it may, it was the Second World War which created the present situation, whereby ‘Bismarckian’ nationalism is reviled by the liberals and celebrated by the conservatives, and true, organic nationalism, with its origins not in militarism or politics but in culture and religion, is assumed only to exist in those areas of the world where the ruling elite is a foreign power. 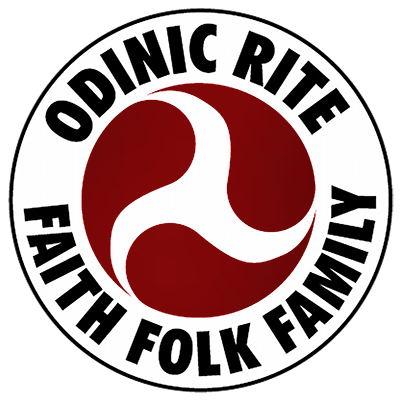 For Odinists, the path to tread is a narrow and perilous one. On the one hand, we must not be afraid to uphold our cultural traditions and independence, maintaining and extending our spiritual revolution throughout our homeland of NorthWestern Europe. But on the other hand, we must maintain our independence from the authoritarian nationalist tradition, which was born not of our blood, but of minds of Judeo-Christians concerned only to turn our blood to serve them.